The problem with these cookies is Ken. He loves pistachios and I can’t seem to hide them well enough that he can’t find them. I am not even sure how he knows they are in the house. That being said if I am able to make these cookies he eats them so fast I do not get a chance to photograph them. Ken is currently away and I thought why not make these cookies and he can enjoy them when he returns. 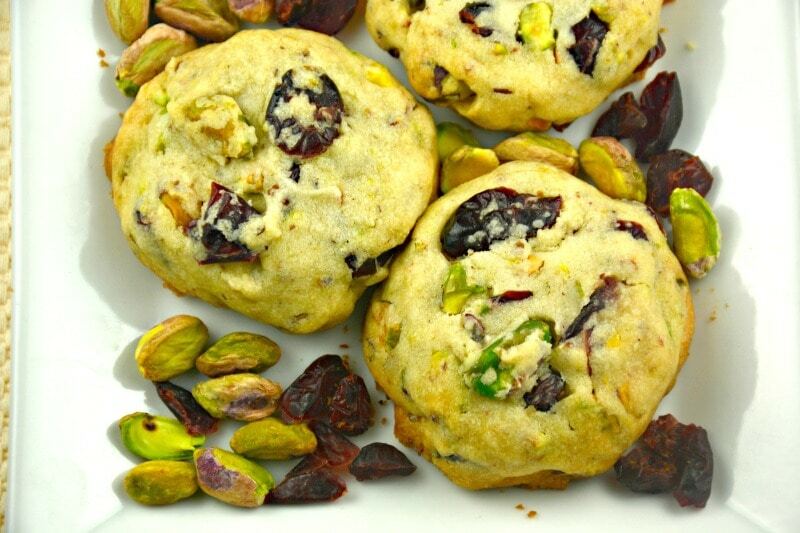 These cookies are full of pistachios and dried cranberries so that every bite is absolutely perfect! Preheat your oven to 300 degrees. Prepare a rimmed baking sheet lightly coated in cooking spray. Set aside. In a large bowl, using a wooden spoon, combine butter and sugar until smooth. Add vanilla, salt and gradually the flour until totally incorporated. 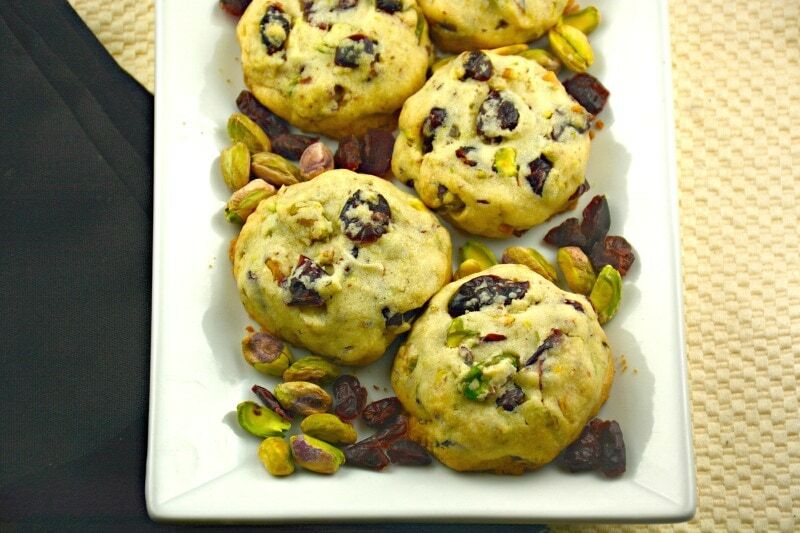 Stir in cranberries and pistachios. Using two spoons or your hands create 1 1/2 inch pucks or discs and place on your prepared sheet. These cookies will spread so keep them at least an inch and a half apart. Sprinkle with more cranberries and pistachios if you like. Press them down into the cookie if desired. Bake for 20-25 minutes. Dust with icing sugar before serving if desired. Enjoy!